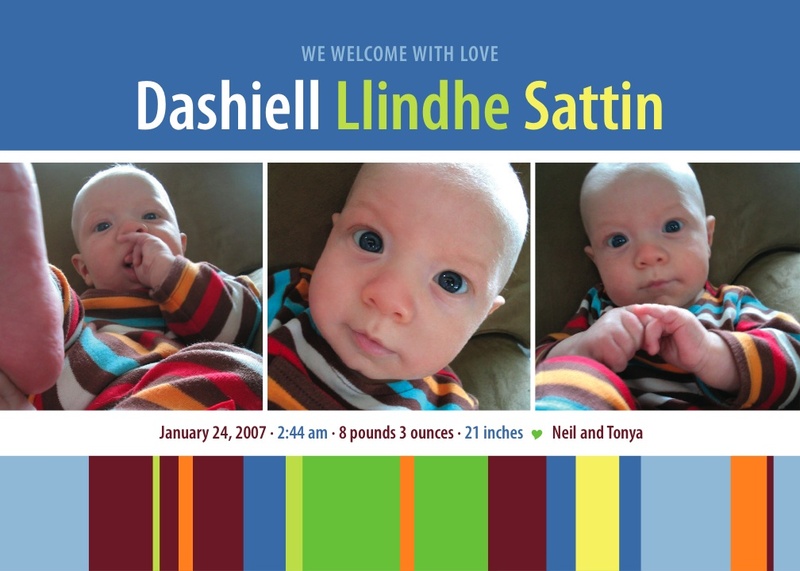 This entry was posted on Monday, June 25th, 2007 at 11:56 am	and is filed under Dashiell. You can follow any responses to this entry through the RSS 2.0 feed. You can leave a response, or trackback from your own site. We love HappyDash.com. The stripes are a big hit here, as well as the little feet and face wearing them. If he’s looking for a date, Hannah is available. Hugs. I think we should get Jenny to immortalize each period in our son’s life with an announcement of one sort or another.